In August 2015, Lagardère Travel Retail made news by acquiring one of North Americas leading and most respected airport travel retailers, Atlanta-based family-owned Paradies. The new company – Paradies Lagardère – covers most of the top U.S. and Canadian airports and is a major player in the North American industry. 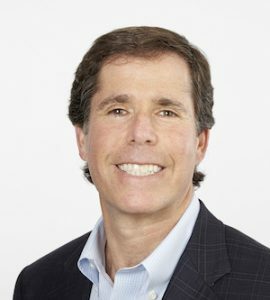 Company President and CEO Gregg Paradies talks to TMI about the merger and the major step the company took to expand in the food & beverage/restaurant sector as well. TMI: Since announcing the merger between your family-owned Paradies with Lagardère in August of 2015, the company has certainly mushroomed in size and importance in the North American airport market. Can you give us a little background about how Paradies began talks with Lagardère and how the process proceeded? GP: It’s really very simple. Paradies has a long-standing industry reputation for excellence in its store operations and management, design, and first-class customer service. It was a natural fit, particularly for expansion throughout North America. Since then, a lot has changed, such as the recent HBF acquisition. TMI: Was it Lagardère who approached you? They seemed to begin expanding with the acquisition of the Saveria USA stores in JFK in 2014. TMI: What kind of synergies accrued from the merger in the first two years? With such complementary markets between the two companies, the advantages of merging were easy to see. But what were the biggest challenges that the combined company had to overcome? Were there differences in corporate cultures that had to be accommodated? GP: The challenges we faced were the types of challenges that accompany any type of merger or acquisition. We had to merge technology, business practices, associates, etc. But we got it done successfully and have continued to move forward. TMI: One strong benefit of the combined company seems to be the number of proprietary brands launched under the new entity. Trip Advisor, So Chocolate, Scoreboard, etc. Can you speak about some of these and what others we might see in the future? What are some of the benefits from developing these proprietary retail brands? GP: Growing our portfolio of brands in key areas of expertise highlights a diverse mix of offerings that allows us to deliver the very best solutions – a favorite local concept, or a highly-desired national or international brand – and exceed the expectations of our airport partners and the travelers we service. Paradies Lagardère works with our airport partners to provide an enhanced customer experience. 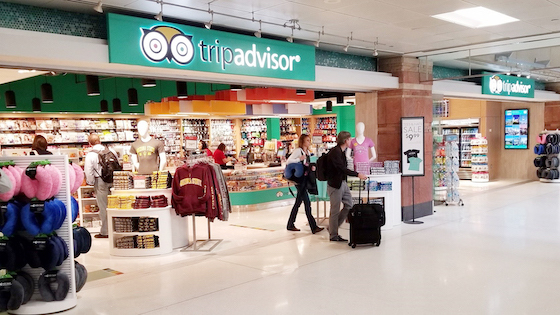 The Trip-Advisor travel essentials stores, shown here in Phoenix International Airport, is one of Paradies Lagardère’s successful proprietary retail brands. TMI: How many new and/or expanded airport concessions has the new company won to date? Are there others in addition to Indianapolis and Salt Lake City? Are there other concessions currently under bid? GP: The company had a great year in 2018, and Paradies Lagardère is excited for what 2019 holds. We won new business and protected contracts in airports such as Sacramento, San Francisco, Vancouver, Salt Lake City, Orlando, and Dallas Fort-Worth. In the fall of 2018, Paradies Lagardère closed the acquisition of Hojeij Branded Foods (HBF), a leading airport restaurateur in North America. Aligning with our goal to strengthen our position as a premier airport food and beverage operator, the acquisition makes us the third-largest operator in the North American airport travel retail and restaurant industry with total annual sales exceeding $1.2 billion. Paradies Lagardère’s Dining Division now offers unique restaurant experiences in 42 airports, with an expanded portfolio of approximately 100 brand partners and proprietary concepts ranging from full-service to fast-casual to quick-serve. The combined brand portfolio offers airport partners and the traveling consumer a vast and attractive array of concepts, including Vino Volo, Chick-fil-A, P.F. Chang’s, Pei Wei, Bar Symon by Chef Michael Symon, illy Caffè, Longhorn Steakhouse, and Cat Cora. All of this puts us in a great position for 2019. 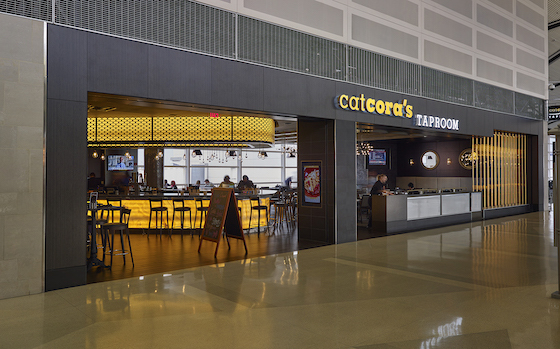 Cat Cora’s Taproom in Detroit International Airport is one of restaurant brands Paradies Lagardère acquired from its merger with Hojeij Branded Foods (HBF). TMI: And now you have added the food division under Hojeij Branded Foods (HBF), which adds a huge new dimension to the equation. I am certain that the recent announcement of the opening of Bar Louie in DFW is just a start. What else can we expect to see from this division coming up? GP: Paradies Lagardère launched its Food and Beverage division in 2007, and we’ve seen a phenomenal amount of growth in this area for the company. The HBF acquisition puts us in a position to offer even more to our airport partners, who are working to expand their dining programs and provide delicious food options to travelers. TMI: Where do you see Paradies Lagardère in five years? Would you consider expanding into other geographic markets? GP: Innovation, brands, and quality – Paradies Lagardère wants to continue to be the best in the industry, and grow and develop its Dining Division. Airports are working to be travel destinations, and we want to be a partner in ensuring they meet their objectives and goals. TMI: What do you see as the company’s biggest challenge going forward? What is the company’s strongest selling point? What is the image you hope comes to mind when people to think of Paradies Lagardère? GP: The biggest challenge I see going forward is working with our airport partners to meet the unique and diverse needs of their target demographics. We have many strong selling points: People and relationships are at the heart of what we do. We deliver the best dining and retail solutions in the industry. We’re on the forefront of integrating innovation and technology and using that to best serve travelers. We have global expertise and best practices as a result of Lagardere Travel Retail, and our recent acquisition of HBF. And we’ve long had a culture where we motivate our associates to provide first-class customer service through our dedicated management teams, extensive training programs and unrivaled recognition programs. I hope that when people think of Paradies Lagardère they think of Innovation, Brands and People.